Flyer design for Mondays and Wednesdays at the Rock Cafe in Huddersfield. 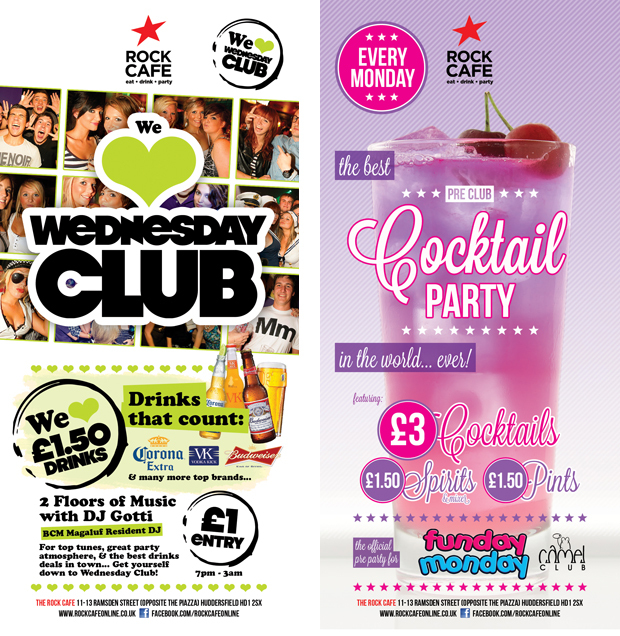 This is a double sided DL flyer design for the new Rock Cafe Monday Cocktail Party and Wednesday Club student night. Posted on 21/09/2012 by admin. This entry was posted in Flyer Design. Bookmark the permalink.